Note: First published on 23rd February 2019 and revised again on 25th February after M1 has pushed out its price plan offerings, the article has been updated again to factor in updated offers, Singtel's new XO plans and Galaxy S10e price plans! Who's got the best plan on the Samsung Galaxy S10 series? 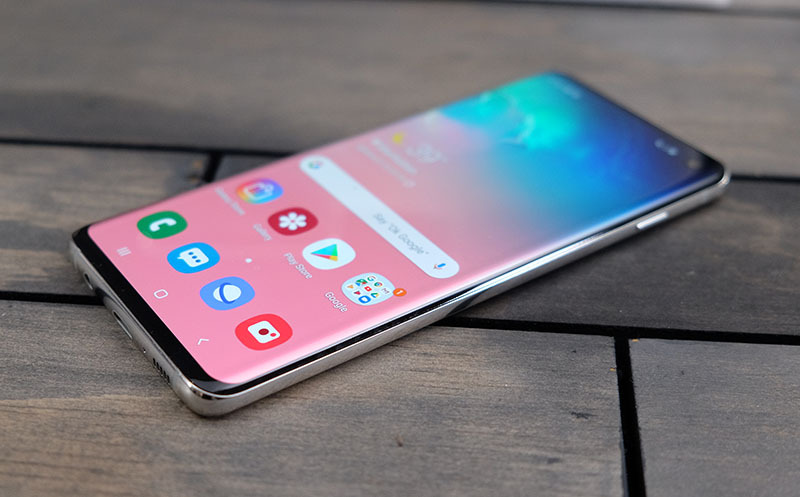 With telcos gearing up for the upcoming Samsung Galaxy S10 and S10+, we find out who's got the best telco price plan deal with a contract and the phone offered at a discounted rate. If you're more keen on a SIM-only, no-contract plan and getting the phone yourself, then hop over to our SIM-only, no-contract plan comparison. The Galaxy S10e, S10 and S10+ (128GB ) will be available in Prism White, Prism Black and Prism Green. The Galaxy S10+ (512GB and 1TB) will be available in Ceramic White and Ceramic Black. Note: At the point of publishing this article, no telco provider seems to be offering the entry-level Galaxy S10e model. Also, M1 has yet to publish its price plans. So for now, we're strictly looking at Singtel and StarHub's offers for Galaxy S10 and Galaxy S10+ and we'll fill in the blanks as soon as we get more details. First off, we'll compare the S10 price plans, followed by the S10+ models on the next page and lastly, the S10e. No activation, and SIM card fees. Free Caller Number Display (Caller ID) and International Roaming. Value plan category:- It's probably time that the telcos retire these entry-level plans. At their price point and limited talk time and data bundles, you could be better served with a pre-paid card or a SIM-only plan. Not only that, but because the overall two-year cost comes up to be very close to the next category of plans, we don't recommend anyone to get these. Basic plan category:- This is an interesting category with many different options at play depending on if you need a lot of data or more talk time. StarHub's S$50 2-year plan looks most tantalizing with the bonus data offered (up to 13GB per month) if you sign up before 17th March. However, it's also the most expensive option in this set of plans. The real winner here is M1. Need a lot more talk time and SMS but you can live with 3GB of data? Their Lite+ plan does the job. However the MySIM(e) 40 springs an even better offer - get 15GB of data and although the default talk time is limited, the top-up for more minutes are just S$2.50/S$5/S$7.50 respectively for +200/+800/Unlimited talk time minutes. There's even an option top up S$5 for an extra 25GB of data - that's a whopping 40GB of total data for just S$45 a month. Factor that into the total two-year cost of ownership and M1's MySIM(e) 40 is the best option here. Mid-tier category:- Singtel's Combo 3 plan doesn't look as worthwhile as its XO 78 plan in the next tier. Plus, the total two-year ownership cost pans out to be similar to StarHub's plan in the next tier. M1 is an easy recommendation here. Go with their Reg plan if you need a decent balance of talk time and 4GB of data that is fairly sufficient for the average user. Need more data than anything else? M1's MySIM(e) 70 will surely fit your needs and don't forget the talk time add-on options covered above. Corporate plan sign-ups usually don't entertain SIM-only plans, and if you're in such a fix go for the M1 Reg plan and add upsized data at just S$5.90 per month to net you a total of 7GB of data - plenty enough for most users. Mid-high-tier category:- Singtel's new XO 78 seems like an easy recommendation with plenty of data and free HBO Go subscription, but StarHub's S$75 2-year plan is our current best overall plan in this category of offerings. What's clear is that M1's Reg+ plan is not competitive anymore. High tier category:- Singtel has the overall lowest price, however it also has the smallest data bundle; in fact, you're better off getting the Singtel XO 78 plan compared from the above tier if you don't need a crazy amount of talk time and SMS. If you're a heavy data user, you may want to consider StarHub thanks to its 60GB data bundle, unlimited weekend data and unlimited talk time. Premium plan tier:- StarHub's extra generous 100GB data bundle and unlimited weekend data, makes it a clear pick for data heavy users in this category. However, 12GB is still plenty of data for many consumers and if you can appreciate Singtel's Combo 12's overall proposition combined with the yearly S$500 handset voucher, this could be a good proposition too. M1's Max+ is the cheapest, but given that the savings is just S$100+ over two years on an overall spend well beyond S$5k, its value isn't as apparent. In addition to the above analysis, here are telco specific offers that are tied in with the Samsung Galaxy S10 series:- M1, StarHub and Singtel.